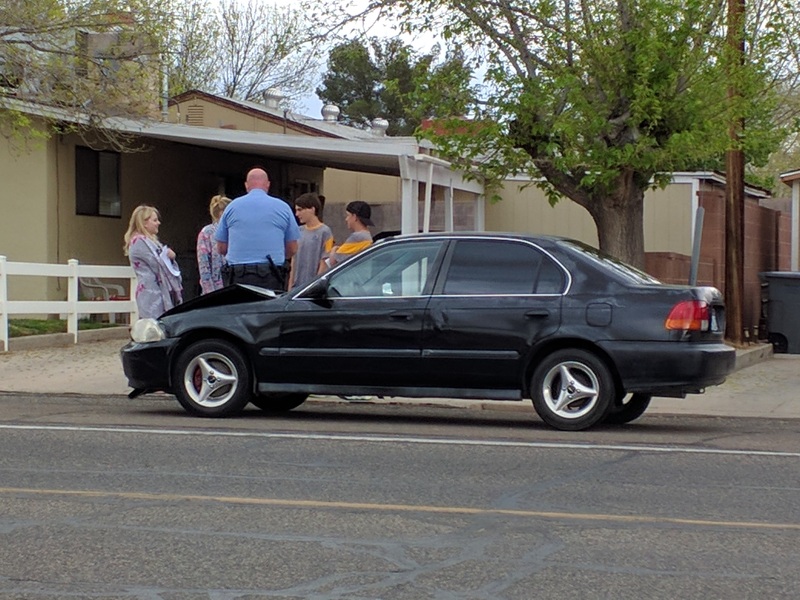 ST. GEORGE — A teen driver’s failure to yield on a left turn led to a collision at a busy intersection Saturday afternoon. At approximately 3:39 p.m., a St. George Police officer came upon the scene of the crash at the intersection of 200 East and 700 South. A teenager driving a silver Toyota Camry was southbound on 200 East attempting to make a left turn onto 700 South. As he pulled out to make the turn, he hit a black Honda Civic driven by a teenage girl, St. George Police Officer Ken Childs said. The driver of the Camry reportedly said his view was obstructed by a car parked on the side of the road at the time of the collision. Seat belts were worn by all occupants and no injuries were reported. “The driver of the Camry … got cited for failure to yield on a left turn,” Childs said. The incident occurred at a busy time in the intersection where people were apparently arriving for sporting events at Dixie High School. Westbound traffic was blocked on 700 South. 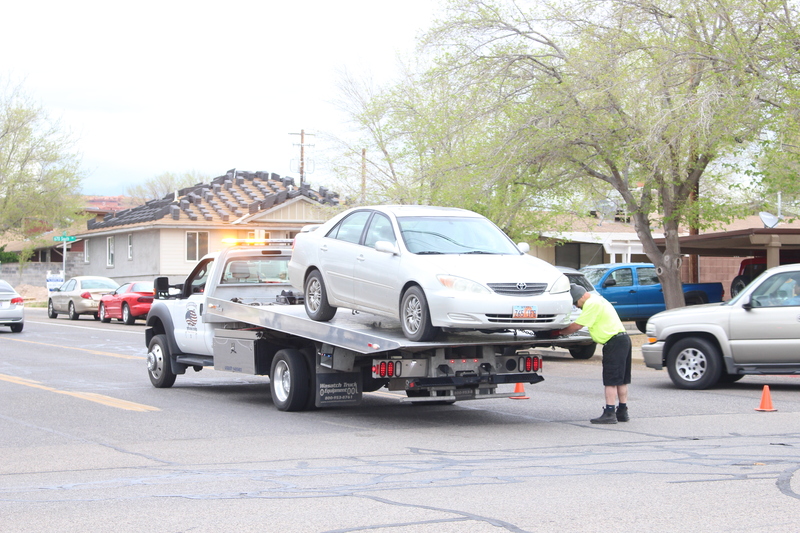 “We just had to detour westbound traffic,” Childs said, noting that the Camry was immobile and remained in the middle of the road until a tow truck arrived to move it. The Camry’s front driver’s side was damaged, including a bent wheel. The Civic sustained some front end damage, including a bent hood and busted bumper but was still operable and driven away from the scene.